Spirit: Beginnings, Perspective, Learning, Stability. Places to visit: Texas, England, Serbia. Things to learn: Skiing, Statistical Analysis, Mountain Climbing. This is one of those years when you will feel blessed by the people you finally found and by common sense to leave some of those who made you feel bad behind. All in all, this is a time to build inspiring relationships, learning and traveling with your loved ones. By the end of January your sign’s ruler will make a grand entrance into Aries, making all sorts of new beginnings possible and reminding you of your true Self and the energy you possess to show initiative, strength and leadership. The rest of the year will be marked by direct motion and logical consequences of each move made. This fact can serve well for those of you who are trying to make a plan for the future, as logic and common sense seem to be at the reach of your hand. 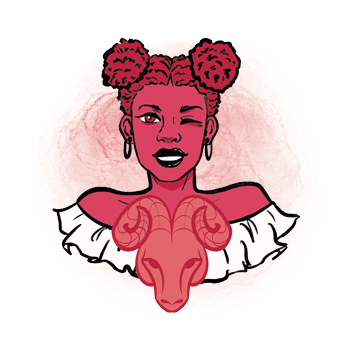 The summer is a turning point for many Aries representatives, so pay attention to your choices and sudden moves, staying in a calm and present mode. By the end of this year, you will have many long-term commitments to be proud of, new relationships that widen your horizons, and a lot to say about your emotional life. This is a time that should be used for great endeavors, new challenges, loud laughter, and colorful relationships. 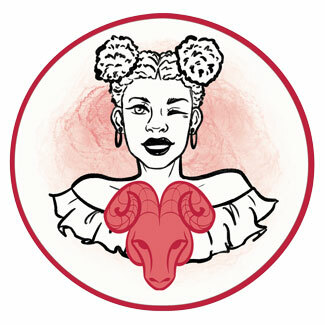 The true challenge any Aries has to face is a deep dive into emotional and family issues that won’t be possible to avoid when the summer begins. This is a period when you need to be tender and considerate, instead of rushing into solutions that hurt you and those around you. The end of October will bring changes to your world of partnership and relationships, so try to keep your vision clear and recognize that whatever happens, things always turn out for the best. This is a time when you’ll be blessed with positive relationships, surrounded by optimism and faith, and noticing that other people truly believe in you and your abilities. Don’t take them for granted and show your gratitude every step of the way. Chronic problems are less likely to resurface than acute ones, just as your character is less likely to stick to problems for very long than switch to each next one with the first given opportunity. Time is your friend at the moment, and any physical pain is there to remind you of much needed rest. Pay attention to your neurological state, especially focusing on your eyesight when Jupiter opposes Uranus in your first house. It will raise your expectations sky high and create unreasonable challenges of faith, blurring your vision and making it unclear where your direction lies. Early spring and late autumn bring possible issues with bladder and reproductive organs. Choose warmer outfits for these seasons, and protect your heart and your inner feminine side from anything negative that might happen in the outer world. There is a gap between family issues and matters of romance and marriage, and this could turn many taken Aries representatives to parallel relationships and pleasures that aren’t in accordance with their moral imperatives. This isn’t a good time to jump into adultery, simply because lies taint your relationship with yourself, making your own world unclear and hazy. Dealing with family will be difficult, but you won’t have much trouble following in a family routine, schedules and traditions. Approaching it as if it was work to get done, you will feel satisfied by all the respect you have given to those who care about you. No matter the rush you are in, be sure to give yourself time for emotional issues and tenderness, so your heart can heal from sudden changes, moves, turns, and professional battles. This is a good time for business partnerships and gain from law, public presentations, working with popular people, and politics. Money will come and go and you’ll have a chance to create something truly meaningful as March ends and April begins, but only if you keep your focus intense, dedicated to your cause. Shifts and turns you’ll have in your career will lead in a good direction and you will finally see the set point you are moving towards just as Saturn leaves the sign of Sagittarius in December. This is a year when a lot will be learnt about planning and ambition, especially by those younger Aries who are still raging with energy, but lack tact to deal with the elders. Respect your authority at all times, but respect yourself even more. Aries Horoscopes - daily, weekly and monthly Aries horoscopes..